The UAE is said to be behind a wave of assassinations that targeted the most prominent anti-U.S. Syrian opposition leaders between 2014- 2015, which paved the way for Daesh and Kurdistan Workers’ Party (PKK) terrorists to advance in opposition-held territories. 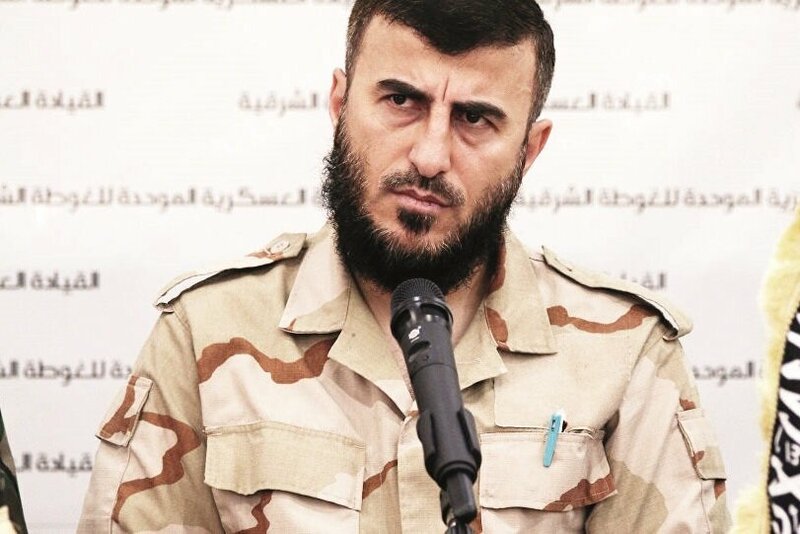 After obtaining information about the whereabouts of the opposition leaders via its intelligence services, the UAE then passed on these tips to the Assad regime which carried out attacks that killed Jaysh al-Islam commander Zahran Alloush, Ahrar Al-Sham leader Hassan Abboud and 45 high-ranking group members, according to Abu Ali, a member of the opposition group. Zahran Alloush, who was the leader of one of the biggest opposition groups in Syria, Jaysh al-Islam, was martyred on Dec. 25, 2015 following an airstrike on Eastern Ghouta. Ahrar al-Sham leader Hasan Abboud was martyred along with 45 high-ranking members of the prominent opposition groups following a chemical attack that targeted a meeting in their Idlib headquarters on Sept. 9, 2014. According to information divulged by Abu Ali, who served in the Islamic Front for two years between 2014- 2016, the UAE played a role in these assassinations, betraying Syria’s opposition with help from Saudi intelligence. 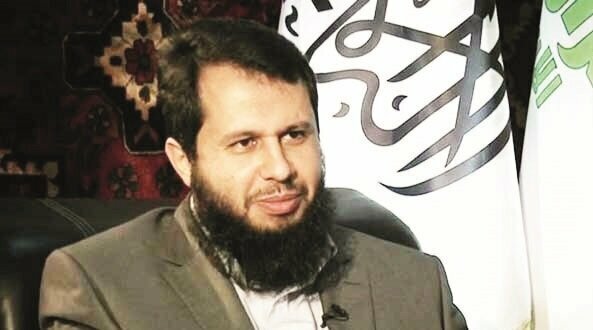 Abu Ali stressed that Saudi Arabia initially played a crucial role in supporting the opposition against the Assad regime through a Saudi intelligence colonel named Abul Kassim who assumed an influential position during that stage. “Commander Alloush’s only communication device was a satellite phone that was given to him by the Saudis, who used it to track his movements before the attack that killed him was carried out,” said Abu Ali. “Following investigations carried out after the attack, it was revealed that UAE first pinpointed his position and then UAE Foreign Minister Abdullah Zayed tipped Bashar Assad’s brother Maher Al-Assad about his whereabouts,” he continued. “We also know that Muhammed Bin Zayed and his brother Abdullah played a role in the 2014 massacre of the Ahrar Al-Sham Emir Hassan Abboud and 45 of his friends,” concluded Abu Ali. “Since 2015, we began to understand more clearly that some groups that were our allies during the war had a different goal. “After 2015, we also saw that some of the information we shared with some of our allies had reached Israel. We learned that information shared with us about the location of Alloush, among other confidential topics, had also reached Israel. “After the assassination, the cooperation between Israel, UAE, Russia and the Assad regime in the killing of Alloush became clear,” pointed out Abu Ali. 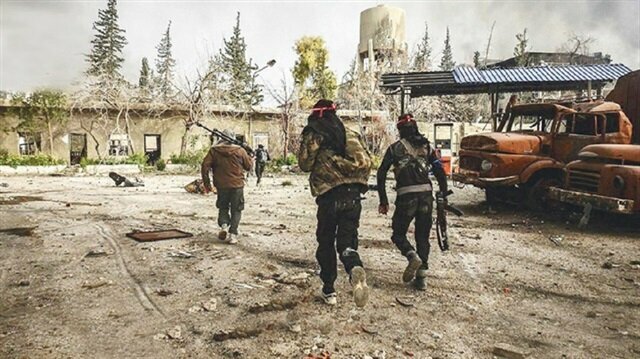 “During the period that saw Ahrar Al-Sham become the target of sabotage, the PKK/PYD and Daesh terror groups were simultaneously becoming more active. That was the beginning of the decline of the resistance front. 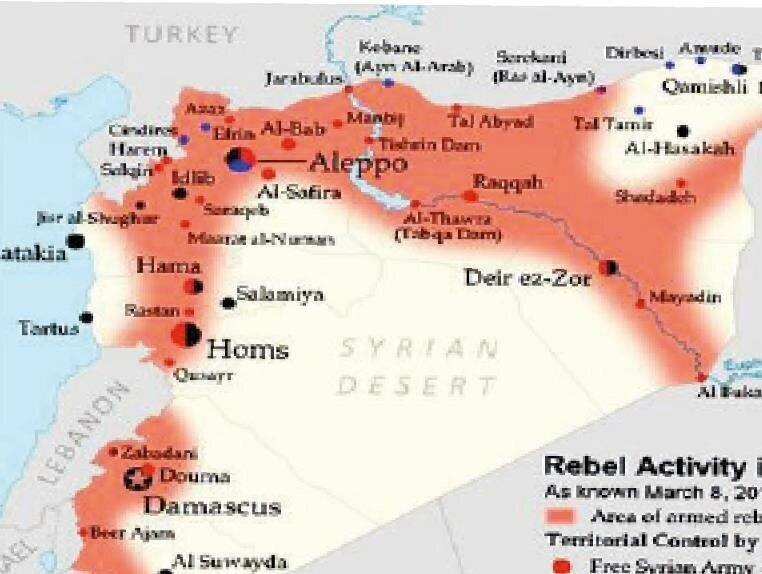 The phase of assassination and sabotage also began with the martyring of Liwa Al-Tawhid leader Abdulkadir Saleh in Aleppo’s Madraset al-Mashahd,” concluded Abu Ali. The PKK is listed as a terrorist organization by Turkey, the European Union and the United States.